Note! Because how the fabric is printed the tops will vary in colour but all items in each size are the same. Check the images for reference on what colour your size is. Yoga bra with beautifully crafted back with various cutouts. On the frontside the fabric is wrinkled in the middle of the bust. It is also made with double fabric and a small pocket if you want to add an extra reinforcement or cup. 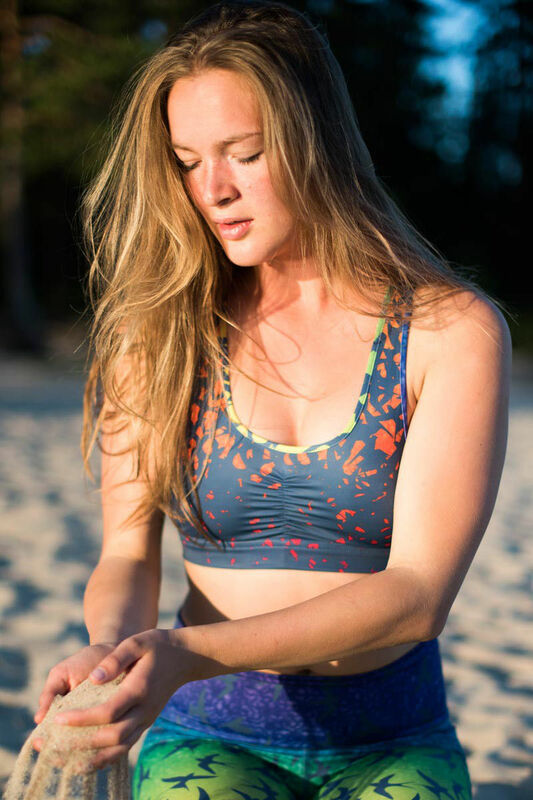 This bra can be worn as a comfortable bra for everyday use or perfect for hot yoga practice due to quick drying material. And we love the birdpattern of course! 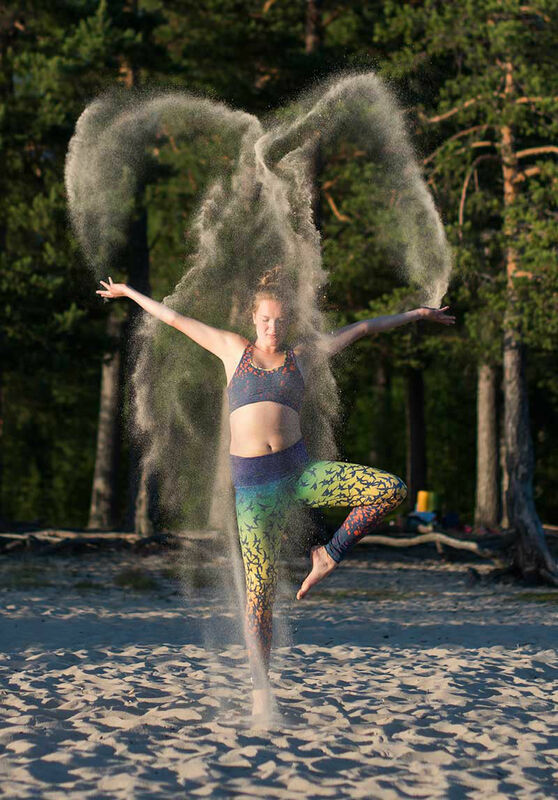 Made in collaboration with "Mönsterbruket design"
Yoga bra in recycled polyester.